The week after Thanksgiving is always the same for our family. We always find ourselves basking in the joy of having full tummies of good food and warm fellowship with other Christians. The “busy season” is upon us as we rush to the umpteenth performance of our children’s rendition of Pachelbel Canon at the local schools and clap wildly just like we did the first time we heard it. Full tummies and scratchy orchestra performances are the blessings making our lives joyful, while knowing they are from the one and only God. With that in mind let us turn our attention to the greatness of our Lord, our God and Savior, Christ Jesus; let us pause for a moment and think upon nothing and no one, save Him only. I challenge the Mormon people to ask themselves the following questions without having any part of their answers include anyone or anything but Jesus. I have always felt such a strong tug at my heart for Isaiah 53 as many people have I am sure! There is something about that one chapter of His word where I find myself lost in thought about Jesus. In light of this chapter can you as a Mormon answer the following? The chapter will be at the end of this article. When did He become the Atonement for us? How did His death justify our sin? This month at the ministry we began carrying the documentary film “The Bible vs. The Book of Mormon” from Living Hope Ministries. Viewing this documentary is something I highly recommend to any member of the LDS faith and for Christians who mentor them. As my daughters and I watched the film this morning I could feel my heart slowly dropping to my feet. It is truly devastating to me that “my people” believe this monumental lie. While my girls have always known about the false teachings of Mormonism, watching their reaction continues to put a new spin on the travesty of what Jesus got me out of. 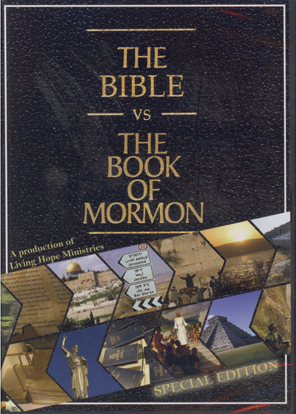 The documentary focuses on the abundance of evidences found to prove the authenticity of the Bible and the lack of any evidence to prove the Book of Mormon to be true. The producers of the film interviewed several people who included reputable archaeologists, professors and rabbis from around the world asking for their opinions and findings of the two books. “As a Church we have critics, many of them. They say we do not believe in the traditional Christ of Christianity. There is some substance to what they say. Our faith, our knowledge is not based on ancient tradition, the creeds which came of a finite understanding and out of the almost infinite discussions of men trying to arrive at a definition of the risen Christ. Our faith, our knowledge comes of the witness of a prophet in this dispensation…” – Ensign, May 2002, pg. 90. Explain to me please where does the part about Jesus fall into this category? What does the term The Church of Jesus Christ of Latter-day Saints mean anyway? Ironically enough I asked my mother about this when she visited me this past summer. I wanted to know her opinion of what Hinckley said and I quoted the passage above to her. Immediately I could see the hairs on her arms stand up as she snapped back “Well, I don’t know. We’ll just have to wait and see in the end what he meant by it”. ??????? Wait till the end? I couldn’t believe the answer and yet I remember saying the same thing to a friend back in 1984 when she asked me if I knew I could go to heaven. One of the things I always found to be odd as well was the conversations Kirk and I would get into not long after we were married. While growing up in Utah Mormonism, I had been taught from birth up that I was a Christian. Even though Christ was mentioned as often as a fruit cake is wanted at Christmas, he was still talked about! I would be indignant by the mere suggestion that I wasn’t a Christian! Then Kirk came along…I chose to not pay attention to what he had to say about Mormonism. He was only a convert after all and not even an active one at that. Kirk had insisted that when they converted him in the Los Angeles area the Church made it abundantly clear they are not Christians. Someone in the film said the Mormon can be as mad as they want at you for promoting this information or when you ask questions, but they cannot deny what Hinckley said in the General Conference that year. The historical Christian Jesus of the Bible and the Jesus of Mormonism are not the same Jesus. This is exactly what I tell people when they write or call in asking us for help in witnessing. Joseph Smith may have named one of their gods Jesus, but that doesn’t mean he is the Only True Son of God! Hearing what was said on the film also reminded me of what Elder Stanley Ellis of the Seventy said at this past conference in October. 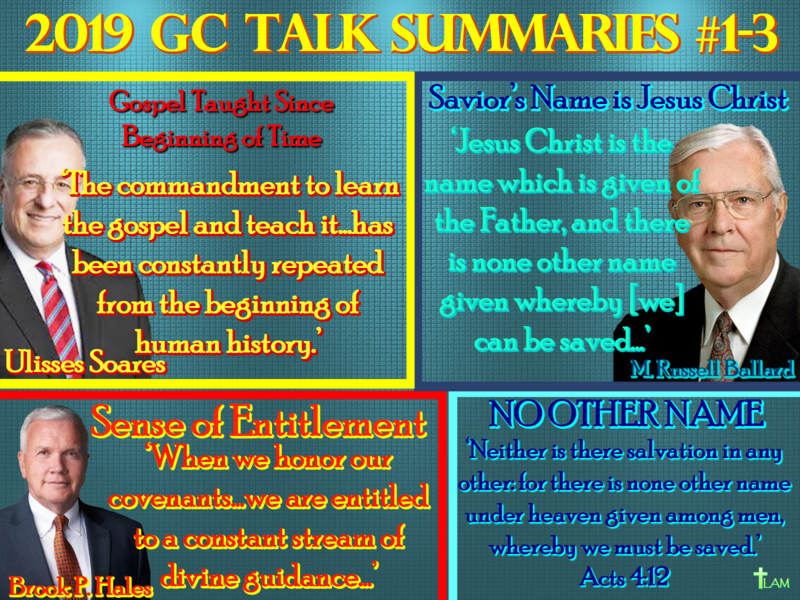 He spoke at one of the sessions and named his speech “He trusts us!” – Ensign Nov. 2006, pg. 51. After Mr. Ellis told the audience of young men that God has given them his power and authority because of their obedience and faithfulness, he went on to assure them that God even trusts them! He also told these young men that “God is careful with his priesthood” and to exercise this power is a “sacred responsibility”. The arrogance it takes to even think this is beyond description. First of all the people who are given the Mormon priesthood are but boys! The only thing they’ve accomplished is living long enough to celebrate their twelfth birthday. What kind or type of god is it that would trust a mere boy with something supposedly very “sacred”? I’m not trying to sound disrespectful, although I know this is how it will come across when read by the members of the Church. I want to challenge the Mormon people to just stop and think about it. What type of god would trust a twelve year old boy with the most sacred of obligations? What if the boy was just going through the motions of receiving the priesthood because that’s what his parents told him to do, but in his heart he hated everyone and everything around him? Wouldn’t that same boy be disqualified by the Church’s standards? Yet they “ordain” these boys because of age, not because the child has been called by God to do so. 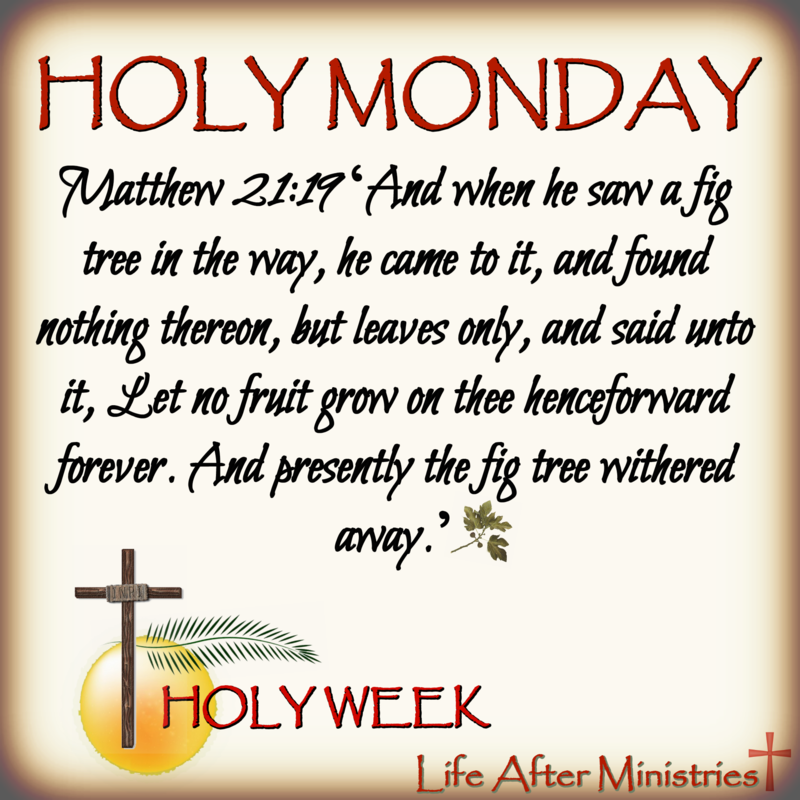 The Christ that hung on the cross for your sins was the same person who was born in a stable. He’s the twelve year old boy who was “accidentally” left behind at the temple and the God that became man so He could do the sacrificing instead of us. This my friend, is the Jesus of the Bible. This Christmas look to Him and promise yourself to learn more about Him. The worst that could happen is that you might find a new friend – Jesus. Think about this. All over the world people who attend Christian churches go to the “unchurched” world to evangelize and spread the news about Jesus. Why is it the LDS Church goes to the people who call themselves Christians to proselytize? Wouldn’t you bid them farewell and praise God with them when or if they told you they are Christian? If the LDS Church is truly Christian then why are their missionaries going to the Christians for converts if they’re already Christian? That’d be like me going to the store for milk while owning the dairy. This can’t possibly be the same Jesus my friend! A young woman who just converted to the Church keeps coming to mind as of late. She grew up in a Christian home, dedicated her life to Jesus throughout her childhood and still she was tricked into the lie of Mormonism. Being young and immature she naturally fought against her parent’s desire to not join explaining they do believe in the same Jesus…little does she know that not even Hinckley believes this. On a personal note here – this year will be particularly difficult for some of my family. I have two nieces who live with my mother in Utah and they have recently lost their mother to liver and kidney failure due to alcoholism. She was 37 years old. Please, pray with us here at Life After Ministries that my husband, our daughters and I will be a light in the darkness for them as their father (my brother) is unable to take care of them. We are the only Christians they know personally. My mother and nieces are the only ones left in my family that will associate with us because of what we do in ministry. We don’t want to lose that connection for these young girls! 1. Who hath believed our report? and to whom is the arm of the LORD revealed? Update to this story: I wrote this article back in 2008. It is now April 2011. On January 1, 2011 my niece Felicia died in a car wreck while driving on a local freeway near her home in Ogden, Utah. Continued prayers for her younger sister Angie are greatly appreciated. In this article there is a mix of two persons. First there is God, who is the Father of us all. According to the Bible this Creator is the maker of the Old Adam and the New Adam, Jesus who is His only begotten son. Going out to preach has to be done by every Christian. That people are telling about the Truth or about what is written in the Holy Scriptures to other Christians is also important, because they have always to investigate what is written in the Scriptures and what people are telling them. Several (main) Christians fro example take Jesus as God, though the Bible indicate it very clearly that Jesus is the son of God. Many so called Christians pray to statues and different persons, though the Law of God is very clear that we are only allowed to honour One and only One God, the Elohim Jehovah / Yahweh. Therefore those people who are doing those things against the Will of God should be told that they have to change their attitude. (Deuteronomy 6:4)- Hear, O Israel: The Lord our God, the Lord is one. (Deuteronomy 32:39)- “See now that I Myself am He! There is no god besides Me. I put to death and I bring to life, I have wounded and I will heal, and no can deliver out of My hand”. (2 Samuel 7:22)- “How great You are, O Sovereign Lord! There is no one like You, and there is no God but You, as we have heard with our own ears”. (Psalm 86:10)- “For You are great and do marvelous deeds; You alone are God”. (Isaiah 44:6)- “This is what the Lord says – Israel’s King and Redeemer, the Lord Almighty: I am the first and I am the last; apart from Me there is no God”. (1 Timothy 1:17)- Now to the King eternal, immortal, invisible, the only God, be honor and glory for ever and ever. Amen. 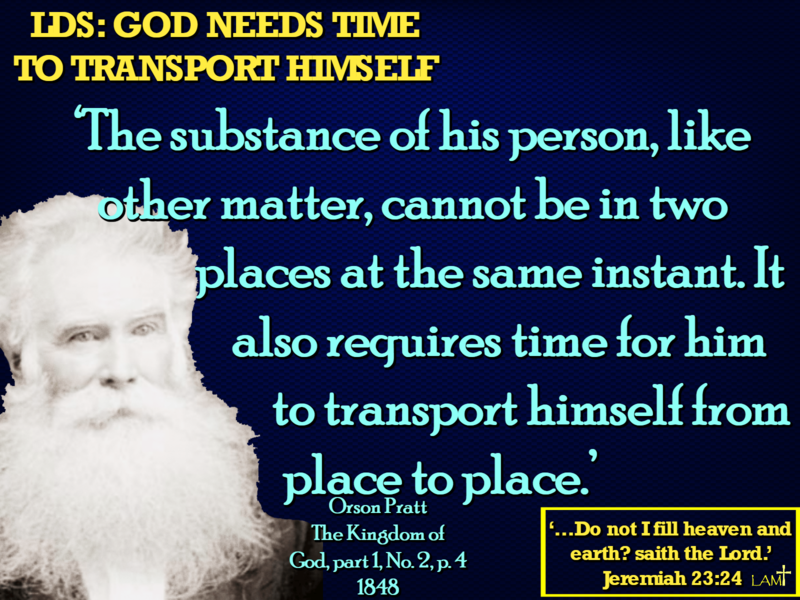 God the Father- (Jeremiah 23:23-24) “Am I only a God nearby”, declares the Lord, “and not a God far away? “Can anyone hide in secret places so that I cannot see him”? declares the Lord. “Do not I fill heaven and earth”? declares the Lord. God the Son- (Matt. 18:20) “For where two or three come together in my name, there am I with them”. God the Holy Spirit- (Psalm 139:7-8) “Where can I go from Your Spirit? Where can I flee from Your presence? If I go up to the heavens, You are there; if I make my bed in the depths, You are there”. God the Father- (Romans 11:33) Oh, the depth of the riches of the wisdom and knowledge of God! How unsearchable His judgments, and His paths beyond tracing out! God the Son- (Matt. 9:4) Knowing their thoughts, Jesus said, “Why do you entertain evil thoughts in your hearts”? God the Holy Spirit- (1 Cor. 2:10) But God has revealed it to us by His Spirit. The Spirit searches all things, even the deep things of God. 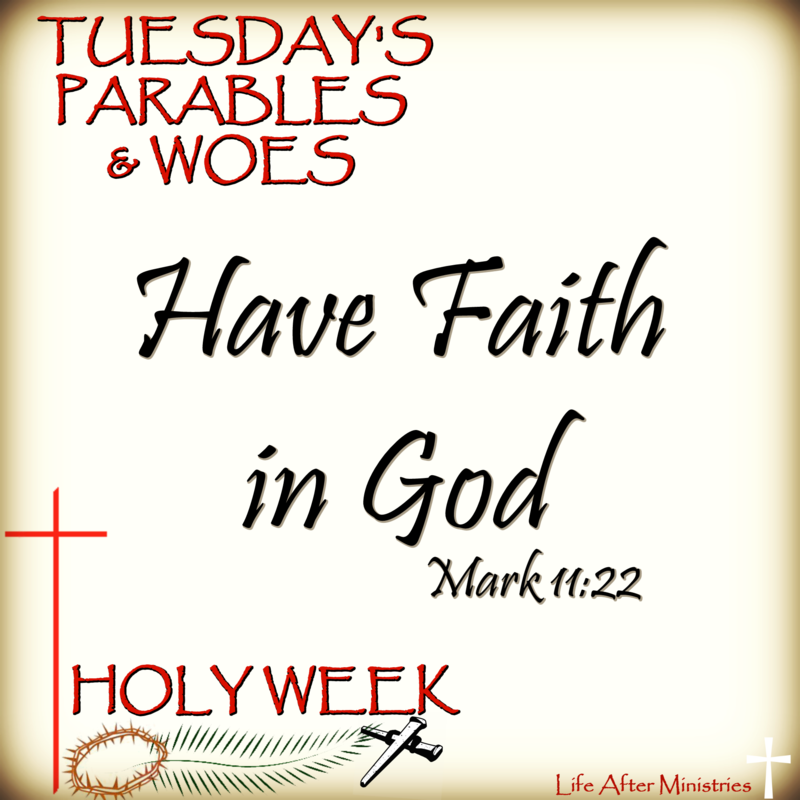 God the Father- (Job 42:2) “I know that You can do all things; no plan of Yours can be thwarted”. God the Son- (Matt. 28:18) Then Jesus came to them and said, “All authority in heaven and on earth has been given to Me”. God the Holy Spirit- (Romans 8:11) If the Spirit of Him who raised Jesus from the dead is living in you, He who raised Christ from the dead will also give life to your mortal bodies through His Spirit, who lives in you. God the Father- (1 Samuel 2:2) There is no one Holy like the LORD; there is no one besides You; there is no Rock like our God. 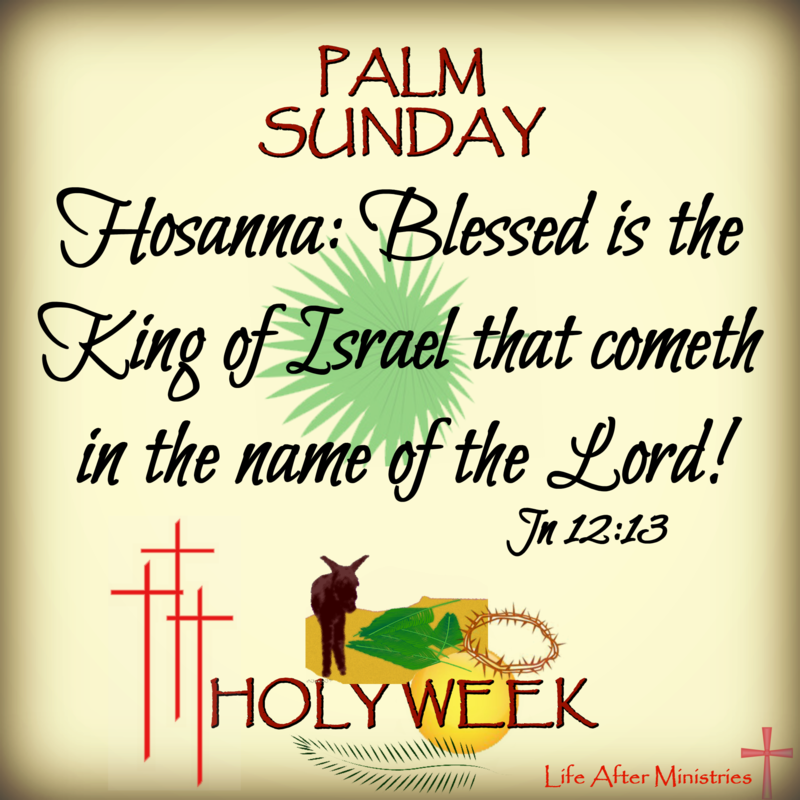 God the Son- (Acts 3:14) You disowned the Holy and Righteous One and asked that a murderer be released to you. God the Holy Spirit- (John 16:8) “When He comes, He will convict the world of guilt in regard to sin and righteousness and judgment”. God the Father- (Psalm 90:2) Before the mountains were born or You brought forth the earth and the world, from everlasting to everlasting You are God. God the Son- (Rev. 1:8) “I AM the Alpha and the Omega”, says the Lord God, “who is, and who was, and who is to come, the Almighty”. God the Holy Spirit- (Heb. 9:14) How much more, then, will the blood of Christ, who through the Eternal Spirit offered Himself unblemished to God, cleanse our consciences from acts that lead to death, so that we may serve the living God! God the Father- (Proverbs 30:5) Every Word of God is flawless; He is a shield to those who take refuge in Him. God the Son- (Rev. 3:7) “To the angel of the church in Philadelphia write: These are the Words of Him who is Holy and True, who holds the key of David. What He opens no one can shut, and what He shuts no one can open. God the Holy Spirit- (1 John 5:6) This is the One who came by water and blood-Jesus Christ. He did not come by water only, but by water and blood. And it is the Spirit who testifies, because the Spirit is the Truth. God the Father- (Genesis 1:1) In the beginning God created the heavens and the earth. (Psalm 102:25) In the beginning You laid the foundations of the earth, and the heavens are the work of Your hands. (Colossians 1:16-17) For by Him all things were created: things in heaven and on earth, visible and invisible, whether thrones or powers or rulers or authorities; all things were created by Him and for Him. He is before all things, and in Him all things hold together. God the Holy Spirit- (Genesis 1:2) Now the earth was formless and empty, darkness was over the surface of the deep, and the Spirit of God was hovering over the waters. (Job 33:4) The Spirit of God has made me; the breath of the Almighty gives me life. Also, we read in (Hebrews 1:6 and 8) “And again, when God brings His firstborn into the world, He says, “Let all God’s angels worship Him”. About the Son He says, “Your throne, O God, will last forever and ever”. IT IS EASY TO SEE THROUGH THESE SCRIPTURES, AND NUMEROUS OTHER ONES, THAT THERE IS ONLY ONE GOD, AND HIS ATTRIBUTES ARE SHOWN TO US IN THREE DISTINCT PERSONALITIES IN THE TRINITY. I would ask you to do the same without using the man made definitions added to the word of God at the councles at Nicene.